The Military Departments in the Department of Defense have a close working relationship with their on-installation military banks. Each year the Military Departments recognize the banks that have gone above and beyond in providing financial products, services, and education to their customers and the local command. 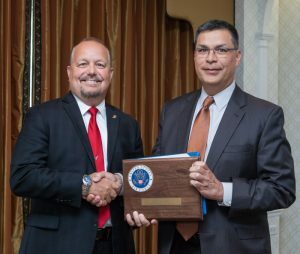 For the first time, the Department of the Air Force and the Department of the Navy recognized two outstanding banks, with categories divided by institution asset size (those under $1 billion and those $1 billion or larger). 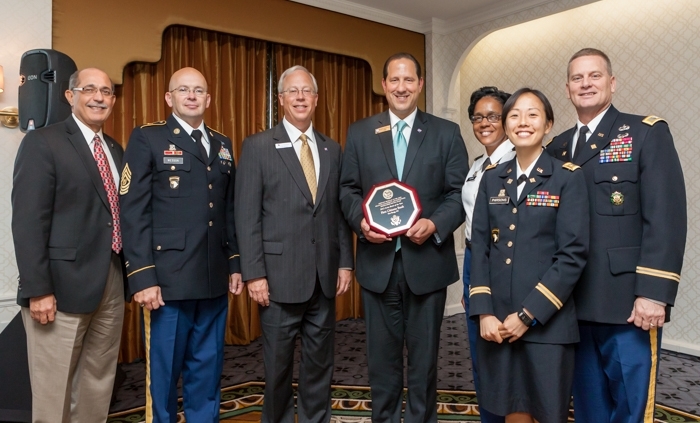 The Department of the Army recognized a single bank whose accomplishments stood out above the rest. First Citizens Bank at Fort Bragg, North Carolina, provided responsive products and efficient service to Soldiers, civilians, and family members and fostered an excellent working partnership with their Bank Liaison Officer. As stated in in the recognition letter signed by the Deputy Assistant Secretary of the Army (Financial Operations) James J. Watkins, the entire Fort Bragg community thrives with the contributions made by First Citizens Bank. Fort Sill National Bank’s Armed Services Bank branch at Parris Island, South Carolina. Armed Services Bank received a certificate of recognition in the small bank category for its outstanding support and commitment to the community at Parris Island. Both banks received letters from the Assistant Secretary of the Navy (Financial Management and Comptroller) Dr. Susan Rabern. The Department of the Air Force recognized Broadway Bank at Joint Base San Antonio, Texas, in the large bank category. Broadway Bank’s commitment to serve their military and civilian population was apparent in their everyday business practices. Their excellent customer service and responsiveness to the needs of the base community were clearly demonstrated, as noted in the congratulatory letter from the Assistant Secretary of the Air Force (Financial Management and Comptroller) Jamie Morin. 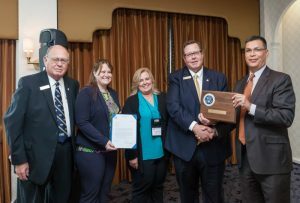 The Department of the Air Force also recognized FNB Community Bank at Tinker Air Force Base, Oklahoma, in the small bank category. FNB Community Bank serves the entire Tinker Air Force Base community, and in addition supported the “Home Away From Home” program for new enlisted members as they transition into the Air Force. Secretary Morin congratulated the bank leadership and staff for their contributions to airmen and civilians alike. Congratulations to the winners in each Military Department for supporting their military and civilian populations in an outstanding manner in 2013. This luncheon was sponsored by Citibank. As always, thank you Citi for your support.